Hello my friends! I hope everyone is enjoying your summer! Here in Upstate NY it's been very hot and dry! But that means lots of sunshine!!! That I love! It's Artist Team Challenge time again! 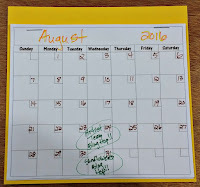 If you've come from Roni's blog then you're following right along with the blog hop. 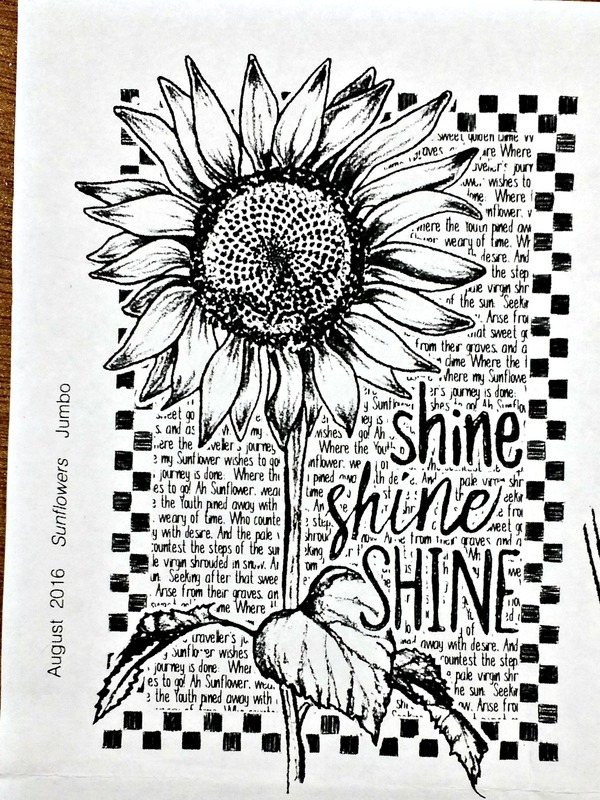 The Club Scrap kit for August is perfectly named Sunflowers! 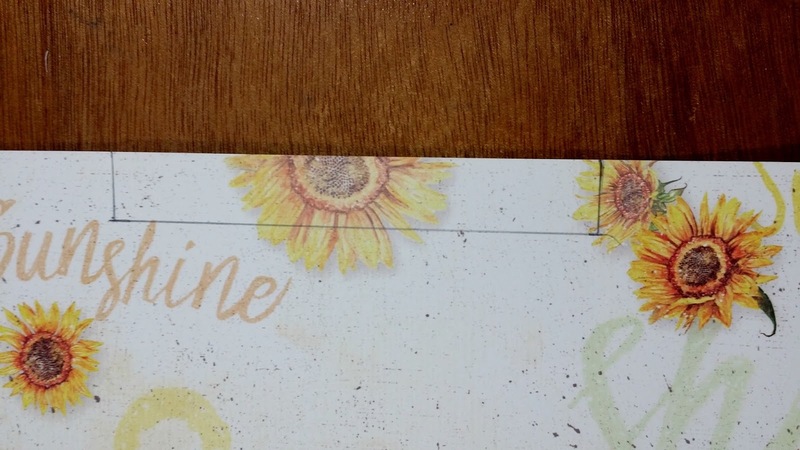 Beautiful sunflower printed papers with yellow, green and brown-just awesome! 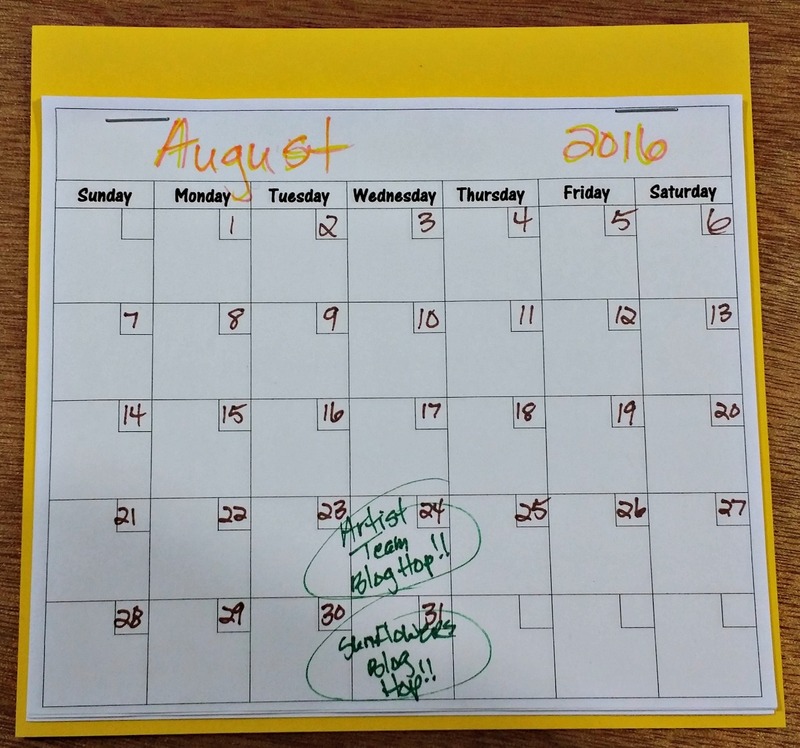 The Theme for this month's Artist Team Challenge is "Back to School!" 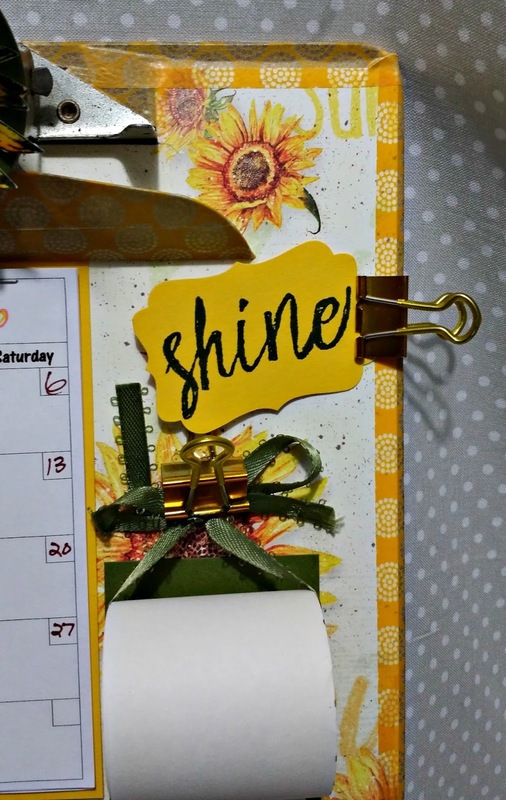 I decided to make an altered clipboard with a monthly calendar, memos clip and write and rip notes! 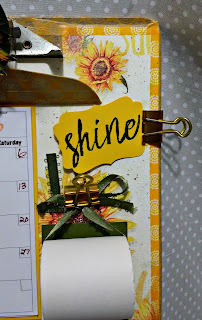 This project was so easy and came out so nice-I love it! Start by finding a common clipboard. I had an old on lying around but you can buy them anywhere. I covered it a piece of cardstock from the kit. I cut the 12" x 12" piece down to 12" x 8 7/8"
I cut a notch out on the top for the clip. 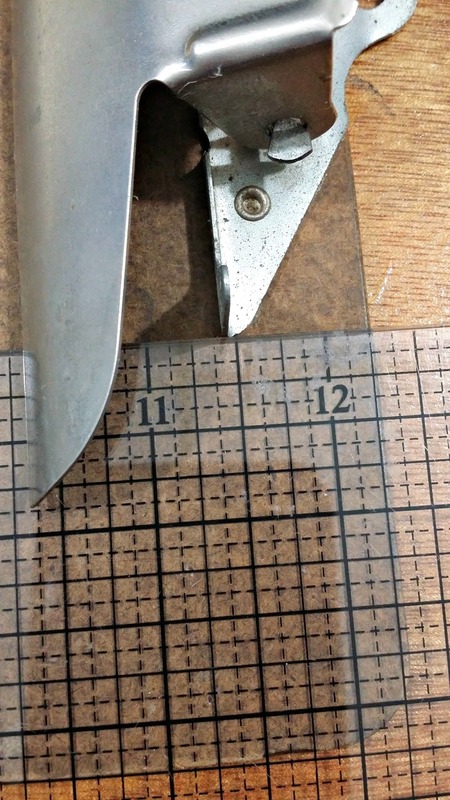 With my ruler I marked where to cut the notch. I spread book binding glue evenly on the back side and adhered it to the front of the clipboard. 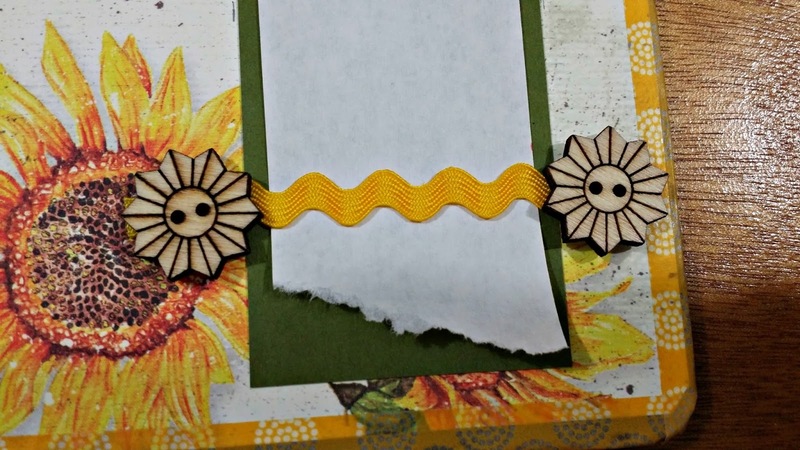 I used the Sunflower Washi tape from the kit on the border all the way around the clipboard. I folded it over the edge to hide the rough edge of my old clipboard. I used a small piece to cover the area around the notch. I pressed it tight to the metal part and used a sharp craft knife to cut off the extra. 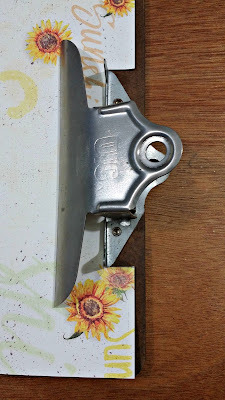 I also used it to cover the part of the clip that touches the clipboard. I just folded over the edges and stuck the tape to the backside of the clip. 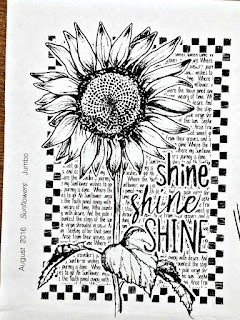 To decorate the top of the clip I stamped one of the sunflower images from the Jumbo Unmounted Stamp Sheet onto ivory cardstock with Club Scrap India ink. I ended up using one from a larger image and fussy cut the flower I wanted-it just fit the clip better. Then I hand colored it with markers and watercolor pencils. I covered it with Glossy Accents to make it shiny and kind of plasticy. Since it will be touched a lot I wanted to make it a little more durable. 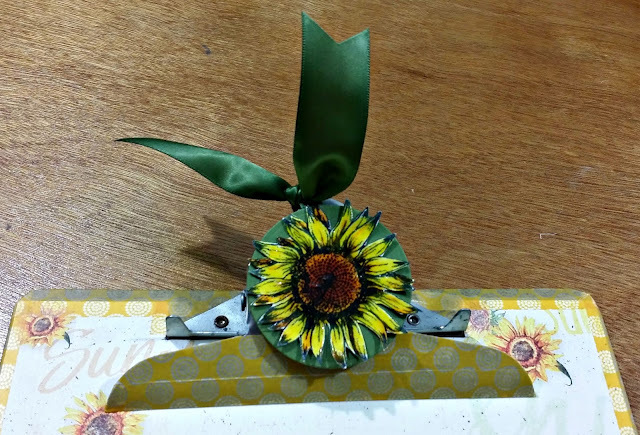 I cut a circle in the green cardstock and adhered the sunflower. 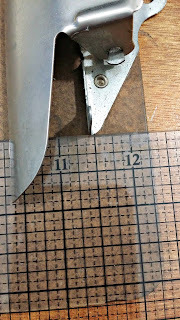 Then I adhered that to the top of the clip with Scor-Tape. I tied on a piece of the green ribbon from the kit. For the write and rip note paper I used a roll of old register tape I found at work. 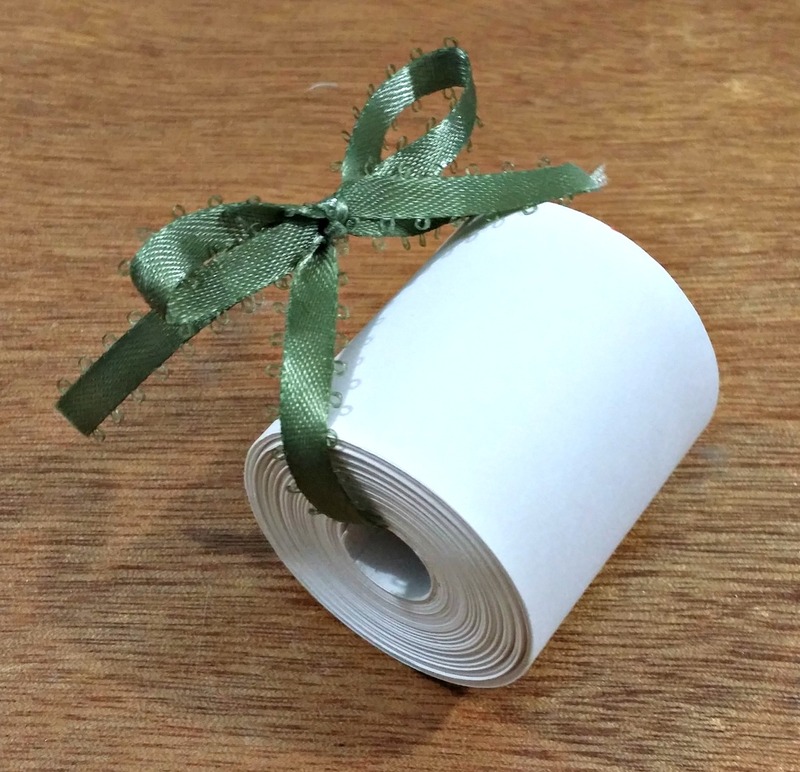 The roll was pretty large so I just rolled up some of it for this project. I used a ribbon from my stash-which matched the color perfectly I might add! Love when that happens! I threaded it through the roll and tied a bow-not too tight so the paper could still roll off. I matted behind where the rolled out paper would be just because I liked the way it looked better. 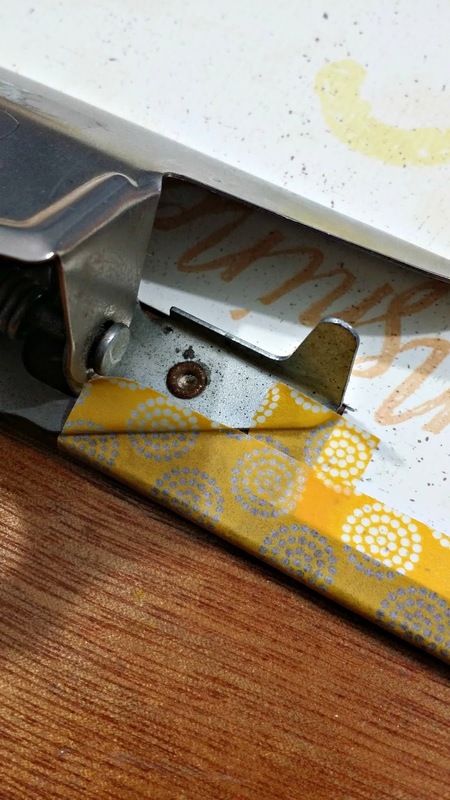 I put large glue dots on the back of a binder clip and glued it down where the roll would be. Then I attached the bow into the binder clip. I attached a piece of the rickrack ribbon to the bottom with glue dots on each end. Then glued the wooden sunflower buttons on top of that with more glue dots. Then I unrolled some paper and slipped I under the ribbon to secure it! I love how it came out! When you hang it on a wall gravity will keep the roll of paper taught and straight. 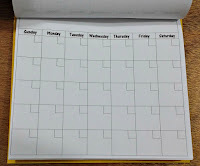 I made a monthly calendar blank on my computer and printed out a bunch. 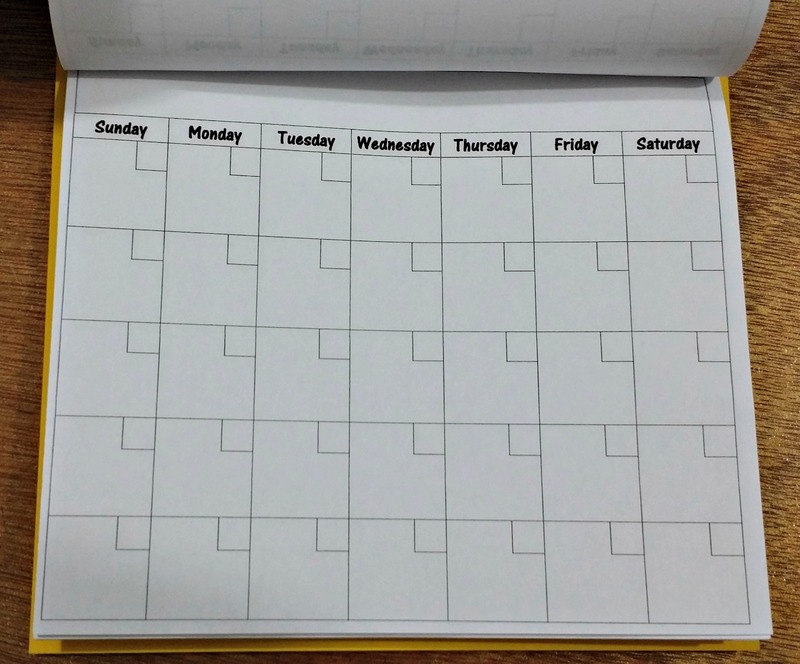 Every month you can fill it in. I stapled a bunch together and attached along the top with a piece of cardstock to matte it. Again more for aesthetic purposes than anything else. 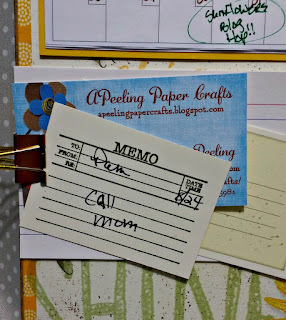 I clipped 2 more binder clips to the edges to hold memos, little notes, business cards-whatever! I'm really happy with how it came out and will definitely be making more as gifts! 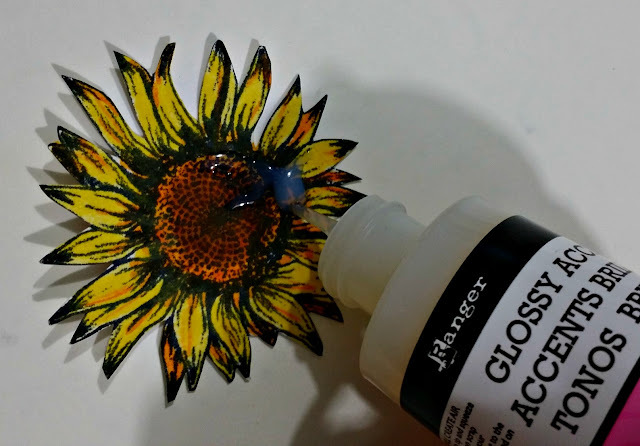 Head on over to Hetty's blog to see what "Back to School" project she did with this amazing kit! 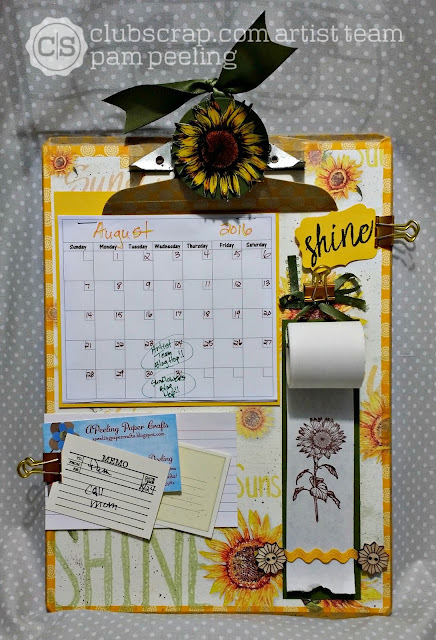 Wow, absolutely beautiful and very handy clipboard! 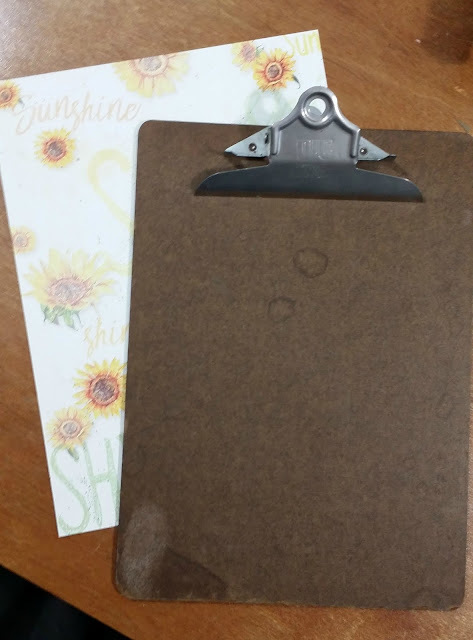 This is a very versatile clipboard! Great job! WOW love this so much, altered clip boards are so fun and the washi tape border rocks!! Wow! That's a whole office on that clipboard! Cool project! Really awesome Clipboard, Pam!! Beautiful! This is great - I wish my kids were still in school where I could make teacher gifts!! 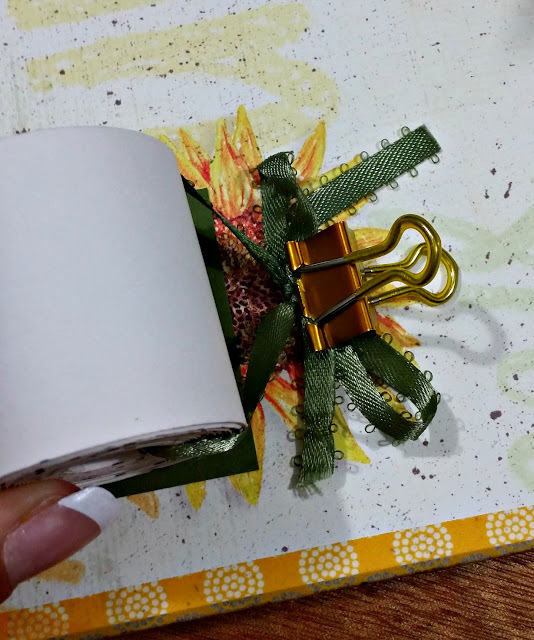 That is an amazing project - I especially like the roll of register tape for notes - thanks for sharing. that paper roll is really very clever, Pam. Nice job. What a happy project! So much fun and a great central family schedule zone! 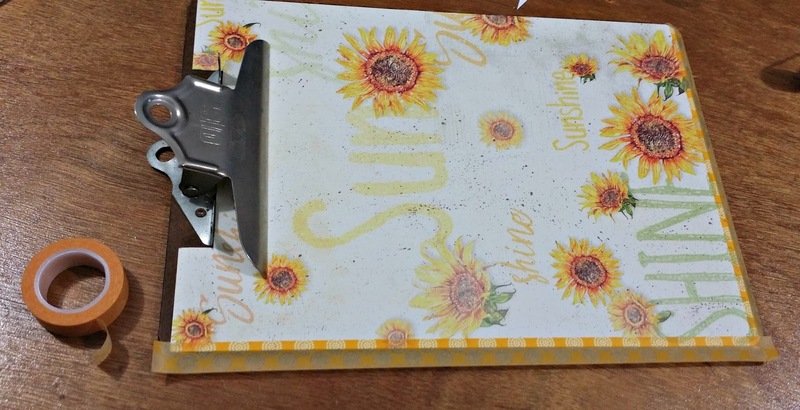 Way to up-cycle the clipboard! This is a fabulous organizing station! 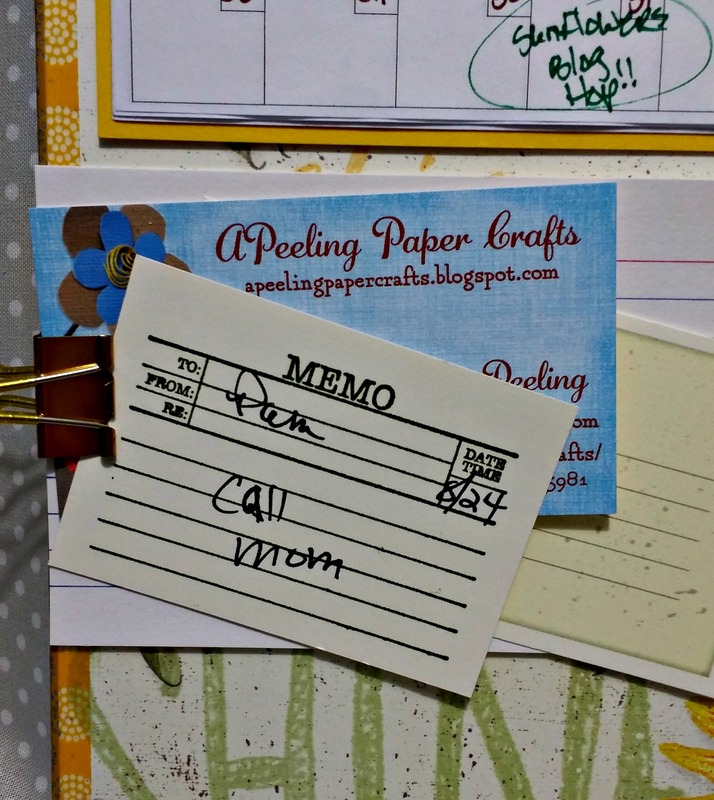 What a fun and wonderful way to use an old clipboard. Way cooler than having it plain! This is really cool! 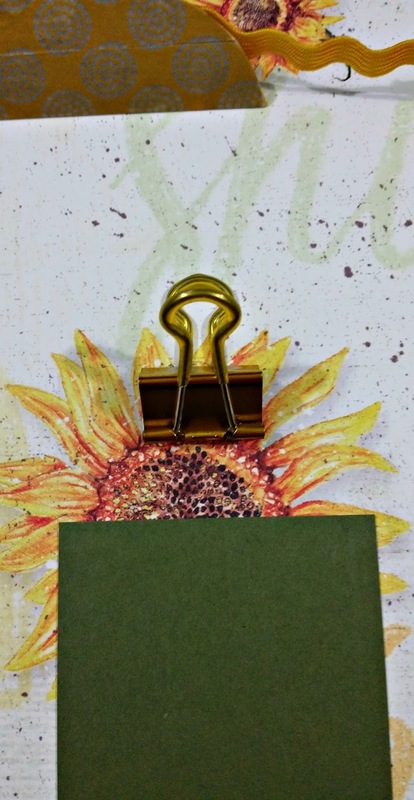 Great altered clipboard! Love it! So cute! I love the write and rip note paper! Cute!